Sure, alarm clocks are a dime a dozen these days – and many people even use their mobile gadgets instead of a traditional alarm. 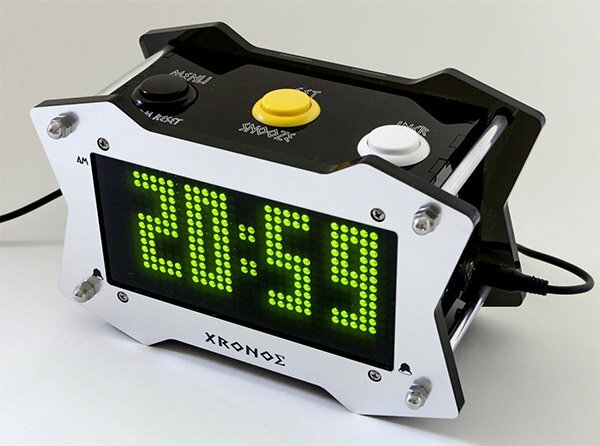 But if you’re looking for a truly geektastic looking alarm clock, you’ll want to check out the Xronos. This custom-built alarm clock has a unique style that would look perfect in a home game room or a geeky bedroom. 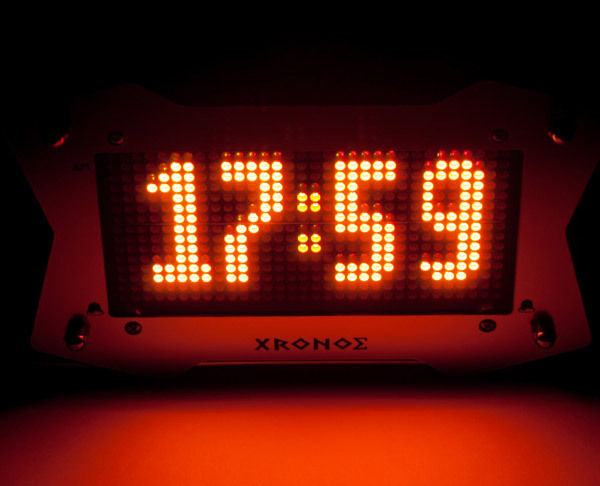 It’s got a large LED dot-matrix display that can display time in green, red or orange, as well as in several fonts. Adding to its gamer style is the fact that it’s programmed and snoozed using real arcade buttons. The clock offers both 12- and 24-hours modes and can also speak the time or date, as well as provide audio feedback when setting the time. You can even set independent alarms for each day of the week. In addition to offering alarm functionality, the Xronos offers a built in temperature sensor. And since it’s built on the open source Arduino platform, you can customize the programming to your liking. But the customization doesn’t end there. 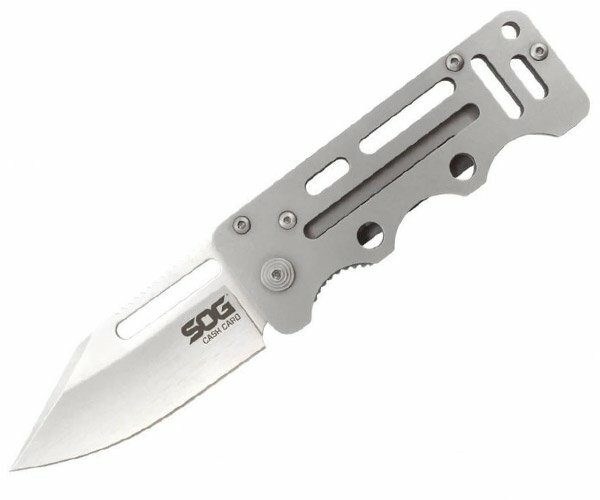 Alarm sounds are stored on a MicroSD card, you can change those if the 10 built-in sounds don’t entice you to get out of bed. If you like what you see, head on over to Len’s Digital’s Etsy shop, where you can order the Xronos clock for $200(USD).